Kite Surfing, also known as kite boarding, is an adrenalin rush across the waves of the sea being towed by a traction kite. It can be gentle, or fast and furious, with leaps and jumps. Here’s how to get started. 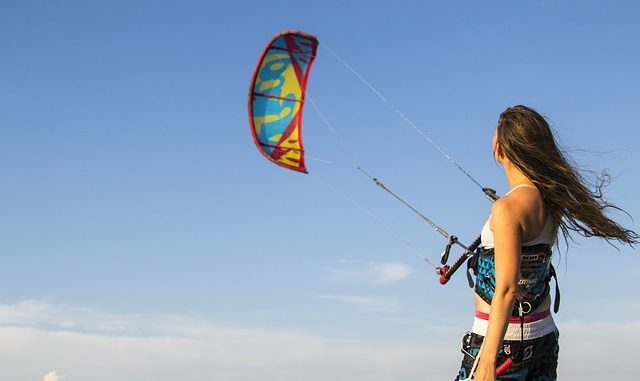 Kite surfing or kite boarding is a water-based sport involving the use of an inflatable water relaunchable c shaped power kite to tow a specially modified surfboard or twin-tip board that is similar in style to that of a wakeboard. This sport is quite versatile in that it can also be done on snow, using a snowboard, and on land, using an ATB (All Terrain Board) or mountain board — which is known as kite land boarding. Kite surfing has the manoeuvrability of wakeboarding and the speed of windsurfing, with kite surfers travelling at a rate of 20 knots (the equivalent of 28mph), but some of the top-level speed kite boarders can reach speeds of up to 48 knots, which is nearing 60mph. If you have never tried any aquaplaning water sports, the feeling of speed can be quite overwhelming. Couple these speeds with the big air jumps of up to 50–60 ft that some of the better kite surfers can pull off and you have yourself one phenomenal experience. 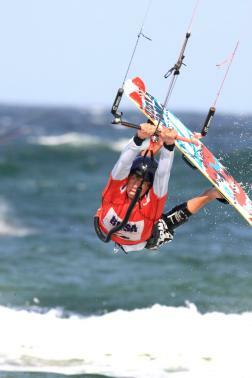 The equipment and clothing required is a kiteboard, leash, harness, helmet ,wetsuit and a kite. These items can sometimes be hired from schools, but should you decide to take the sport more seriously, it is recommended that you purchase your own. If you are buying everything new, then you are looking at around £850.00 for a board and 12m kite, £120 for a wetsuit, £60 for an impact vest, and £40 for a helmet, totalling around £1180.00. However, if you buy second hand, you can probably half this sum. The best way to get started is to take a two to three day kite surfing course at a BKSA approved school. The BKSA recommends that you be able to swim 200 metres in open water and a good level of physical fitness is required. The good news here is that having super-human powers of strength is not a pre-requisite, because it is all about technique. Youtube video of kitesurfing in ArubaLike all sports, there are risks involved, but if you receive proper tuition to become aware of the hazards, these risks are minimised. It is important to remain in full control of your kite at all times and watch your lines, especially if there are other kite surfers at the same location. Learning to fly a two-line power kite before you take a course will help you learn significantly faster, though most people are standing by the end of the first day of a three-day course. Within months you can be a competent kite surfer and within six months to a year you may well be pulling off jumps of 10–15 ft.